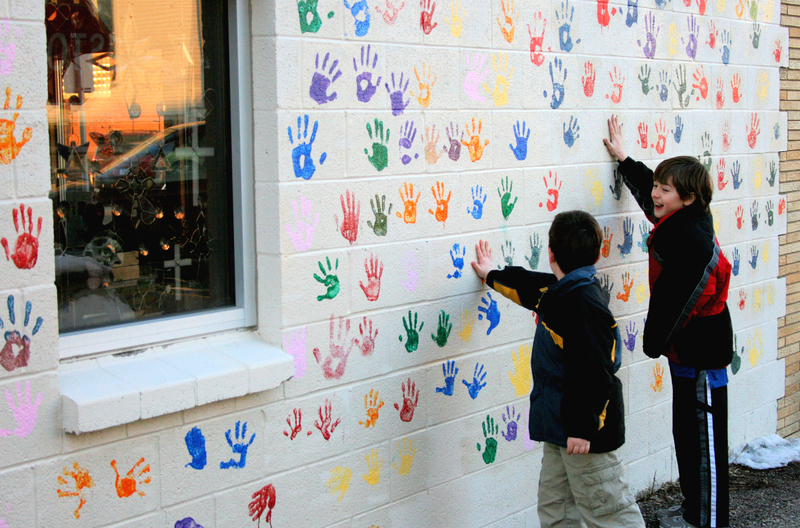 Replacing carbon footprints with carbon handprints. Industry and the business sector have a crucial role to play in the global transition to a carbon-neutral society. Companies have the capacity to innovate and create new products and solutions for future needs. However, these activities nearly always leave a carbon footprint of some size, even when the companies strive to constantly reduce it. The carbon handprint is a new concept, which describes the emission reduction effect that the solutions produced by companies have for the user. The focus is on what can be done and how others can be helped to prevent climate change. In contrast, a carbon footprint describes the harmful effects of our activities that contribute to climate change. Without ignoring the importance of reducing their own carbon footprint, it is crucial for companies to understand how their products reduce emissions for customers or for other members of the value chain. The carbon handprint provides an opportunity to assess the sustainability of a company’s operations from this viewpoint. In terms of the overall picture, it is essential for the carbon handprint to be (significantly) larger than the carbon footprint. A carbon handprint allows companies to demonstrate leadership and be pioneers while improving their competitiveness. It helps them focus their process, product and service development on end products that lay the foundation for long-term and wide-ranging emission reduction. For example, the carbon handprint concept can be used to define and measure the global impacts of cleantech technologies developed in Finland. This is how we can build a foundation for exporting clean solutions. Sitra wants to help Finnish industry and companies create growth via carbon-neutral climate business. The carbon handprint will play a major role in this change. We commissioned a report from VTT in order to increase understanding of the concept of the carbon handprint and the opportunities it provides. We will continue to work with VTT and companies when a two-year research project, which is partly funded by Tekes, begins in the autumn, with the aim of developing methods to specify the carbon handprint.